This book explores the history of Van Gogh?s collection and analyses its composition and quality, and is accompanied by almost 150 illustrations of many of the prints he himself owned and which are now held in the Van Gogh Museum. 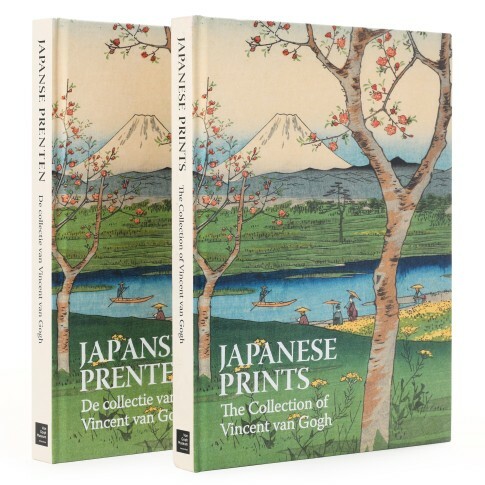 These prints, by artists including Hiroshige, Kuniyoshi and Kunisada, lend us a compelling insight into one of the most powerful creative influences behind Van Gogh?s art. Vincent van Gogh fell under the spell of Japanese woodblock prints during his stay in Paris, where Japanese art was the height of fashion. His initial motivation in purchasing the more than 600 prints he acquired was commercial. He hoped to deal in them, but the exhibition he organized at the café-restaurant Le Tambourin was a failure. However, Van Gogh now had the advantage of being able to study his collection at leisure, and slowly he became captivated by the prints? colourful, attractive and unusual imagery. Language editions: Dutch and English. Hardcover, 224 pages. With 180 exquisite illustrations.